Midwestern Gothic staffer Kristina Perkins talked with author Marisa Silver about her book Little Nothing, the importance of place, the elasticity of time in fiction vs. film and more. Kristina Perkins: What is your connection to the Midwest? Marisa Silver: I was born in Cleveland, Ohio and lived there until I was seven. KP: You’ve spent much of your adulthood in Los Angeles; in fact, The New York Times has called you “one of California’s most celebrated contemporary writers.” How has your understanding of place — be it the Midwest, Southern California, or elsewhere — influenced your identity as a writer? MS: Place functions as more than mere scene setting. For me, place is a component of character. We exist in places, we are formed, in part, by particular environments. Our behavior is often inextricably linked to where we are. How we negotiate a street, drive in the car, walk on a path, how we experience rain or heat, how we respond to the prevailing cultural norms of any given location — all these can provide clues to character that can make someone come alive on the page. In my newest novel, Little Nothing, the village, city, and country are not defined, but the characters exist in specific environments. The main character, Pavla, begins her life in a rural village. Indoor plumbing is a new thing. Her father is the village plumber and she is born a dwarf and so is small enough to crawl beneath homes and help him with his work. Her experience of the underneath, of tunnels and darkness, and her sense of her size in relation to the larger world, become key components to her identity. KP: Before becoming an author, you worked as a successful screenwriter and film director in Hollywood. What, to you, is the relationship between stories on the screen and stories on the page? How does your experience as a screenwriter inform your prose — if at all? MS: The differences are many, but one of the most significant is that a novel allows you to dwell in the consciousness of a character by giving language to interiority. Film offers the image, the close-up, and the particular performance of an actor or actress to describe interior feeling, but I would argue that a viewer’s access to unspoken thought is more limited in film than in fiction. The dialogue in film may suggest thought, but seldom does a film allow for a character to have the chance to describe the minute shifts of his or her consciousness. Another significant difference is the way time is treated. By and large, films are linear and move in one direction — forward. For the most part, they do not show the way in which we are continually circling back in our minds and in our memories so that the past is very much a part of the present. Time in fiction is a more elastic element that can more closely address the way in which we really experience the way time is layered and repeated. KP: Over the past fifteen years, you’ve written four novels and two short story collections. How do you feel you’ve grown as a storyteller between and among these publications? What was the greatest challenge of your most recent novel, Little Nothing? MS: Unlike my previous work, Little Nothing ventures into the realm of the fantastic. At the same time it is grounded in a recognizable reality. My intentions for the novel were that it reflect recognizable conditions of our lived experience. So the challenge of the novel was to find a way to use the surreal not as a portal to the absolutely unbelievable, but to activate it as a kind of boomerang, so that, as far out of the realm of our known experience the plot ventures, it returns us to something we recognize. In order to do this, I had to make sure that the transitions Pavla goes through, as uncanny as they might appear, were undergirded by a kind of emotional and experiential truth. No, we don’t morph into wolves, but on the other hand, there might be some undeniable part of our natures that we recognize in the wolf Pavla temporarily inhabits. KP: In previous interviews, you’ve called Little Nothing an “existential fable.” What makes you say this? What does the space of the fable offer — both to the reader and to the writer — that other forms of fiction do not? MS: This goes back to the previous question. Fables function not because they are patently unrealistic, but because, through the lens of the surreal, they shine a light on something deeply true within the psyche. The story of Pavla and her strange transformations has to do with the way in which we change throughout our lives, in ways big and small, sometimes naturally, through maturation, sometimes unnaturally, because of the pressures of external influence, which can often be violent or negating. The book is very much about the experience of women and their bodies. Pavla’s is stretched and changed and brutalized and hunted. Through it all, she has to continually reconnect with her identity. The more her external physical markers are stripped away, the more she becomes something that is essentially her. KP: Fables are known for their layers of meaning, challenging readers to navigate the space between the “plot” and the “moral” of the story. What is the relationship between the literal and the symbolic in your prose? Do you tend to privilege one above the other? What would you say to someone who asked you to identify the “moral” of Little Nothing? MS: When I write, I don’t think about meaning or moral or the overall thematic intentions of the work. I think about story, about characters who are rich and alive, about finding surprising yet inevitable actions. When a piece is finished, it is a reader’s privilege to discover what he or she sees in the work, and those discoveries can be as varied as readers are varied. The old fables may have been written with moral intent (although I don’t think all of them are) but that is not the way I work, even as I used some of the tropes of fable. The idea of a moral implies morality, that a work is teaching us what is “right” and what is “wrong”. I don’t think that fiction should act as moral legislator. Fiction should expose the complexity of life, not reduce it. KP: The protagonist in Little Nothing, Pavla, endures torture, enslavement, and objectification, surviving by moving between human and non-human forms. Despite these themes of violence, you’ve noted that the novel is, in part, a story about “endurance and transcendence.” When writing, how do you envision the relationship between these emotional extremes — between, for example, the pain of violence and the hopefulness of love? How does Pavla’s liminal identity complicate this relationship? MS: Life is a big stew. Pain, love, humor, darkness, loneliness, comfort — everything exists in a single breath. So the violence Pavla endures is inextricable from the love she occasionally experiences and the love she engenders. Little Nothing is a kind of love story, but an unusual one, perhaps. Pavla incites love in the young man, Danilo, who then spends the story coming to a realization that love can exist outside its object, that it is something more mystical than tangible. Pavla’s “liminal identity” — a wonderful phrase to describe this — one in which she changes and ultimately transcends the body entirely, allows for this kind of more metaphysical consideration of love. KP: As a seasoned and prolific author, what advice would you give to young writers, both those who are writing their very first stories and those who are seeking publication? MS: Writing is a practice. It needs to be attended to diligently if you are to improve. Write a set amount of words each day. Don’t skip a day. Don’t let yourself off the hook because you are tired, or because you don’t feel inspired, or because the blank page is frightening. Just write one word. Then the next, and the next. MS: I’m making my way into the territory of a new novel through reading and research. And I’m writing something each day. Not necessarily something I’ll use or publish. But I’m putting words on the page. 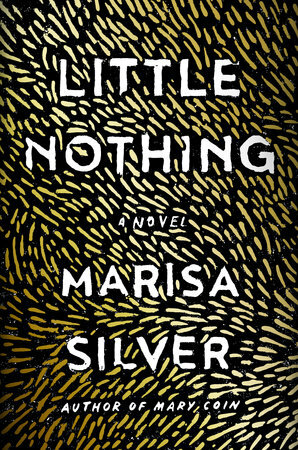 Marisa Silver is the author, most recently, of the novel Little Nothing. Her other novels include Mary Coin, a New York Times Bestseller and winner of the Southern California Independent Bookseller’s Award, and an NPR and BBC Best Book of the Year, The God of War, which was a finalist for the Los Angeles Times Book Prize for fiction, and No Direction Home. Her first collection of short stories, Babe in Paradise, was named a New York Times Notable Book of the Year and was a Los Angeles Times Best Book of the Year. 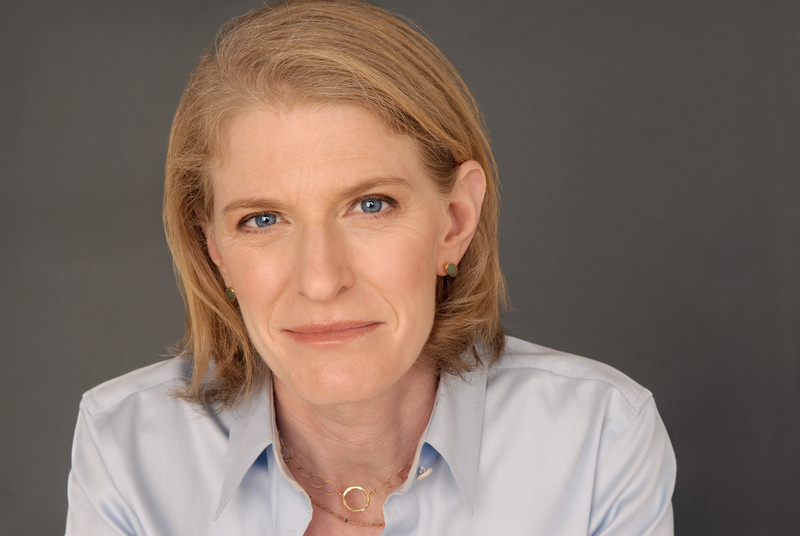 When her second collection, Alone With You, was published, The New York Times called her “one of California’s most celebrated contemporary writers.” Silver made her fiction debut in The New Yorker when she was featured in their first “Debut Fiction” issue, and many subsequent stories have been published in that magazine. Her fiction has been included in The Best American Short Stories, the O. Henry Prize Stories, as well as other anthologies. She received her MFA from The Warren Wilson MFA Program for Writers. She is a visiting Senior Lecturer at the Otis College Graduate Writing MFA Program and is a member of the fiction faculty at the Warren Wilson MFA Program.